Project requirements: Design, technical and structural loadings, and installation. 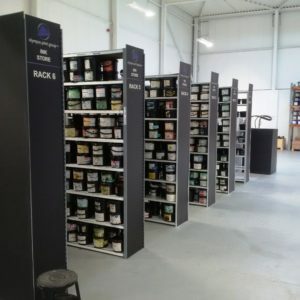 Project detail: 2h Storage Solutions were asked to design a solution to storing a wide range of plates, inks and consumables for one of Leeds leading label printing companies. We selected a mixture of solid and clad shelving systems that provided maximum density for storage of ink and plates while. 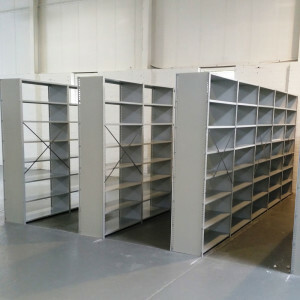 Using a high quality UK manufactured shelving system the heavy weights of these items provided no issues. We also provided UK manufactured pallet racking for the customers larger consumables stored on pallets. So if you have a storage project for storing pallets or smaller items we can offer a solution from simple shelving & pallet racking to a fully automated and controlled dispatch system. 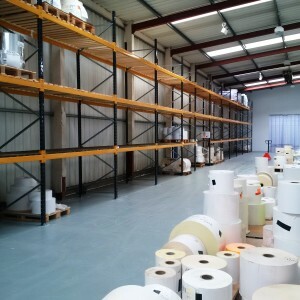 So call the Norths leading experts on warehouse storage system solutions a call on 01937 585057.